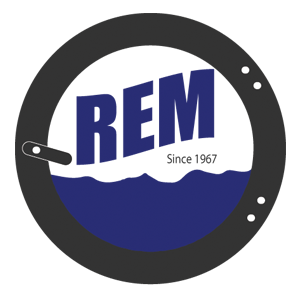 Fireman's PPE System – REM Company INC.
Microprocessor Control is designed to manage the drying and cooling cycles of the gear cabinet. The controller is pre-programmed with five different default programs, or the operator may modify the default programs. The operator has the flexibility to select the time for the drying and cool-down cycles and the drying temperature. UniMac’s PPE Drying Cabinet offers preset programs ranging from 1.5 hours to 3 hours to help you greatly reduce drying time versus conventional methods – getting your PPE back into service fast. Operating the dryer is as simple as selecting one of the five presets and pressing the start button. Additional time can be added as required. Our dual-sided airflow process not only sends heated air around the gear, but also through the inside for maximum speed and efficiency. In addition, air is recirculated to further increase efficiency for lower utility costs. 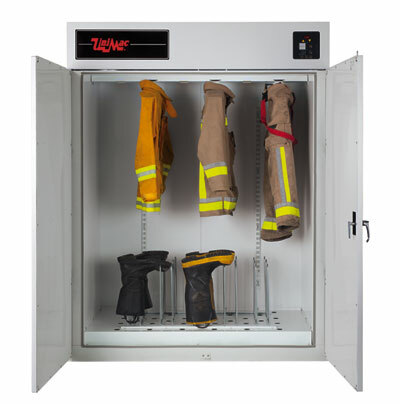 The PPE Drying Cabinet becomes more versatile with optional rack attachments, effectively drying boots and gloves in addition to other turnout gear. The UniMac PPE Drying Cabinet utilizes a dual air movement to quickly and gently dry turnout gear, including boots and gloves, in a matter of hours. This recirculation conserves energy as our unique design forces heated air through the hangers, inside, upwards and around the outside of your gear, ensuring that your turnout gear is thoroughly dried. The PPE Drying Cabinet, when combined with a UniMac washer-extractor, will help you comply with NFPA 1851 guidelines. A one-year warranty is issued to the original purchaser of the PPE Drying Cabinet. Labor not included.